Hot News! 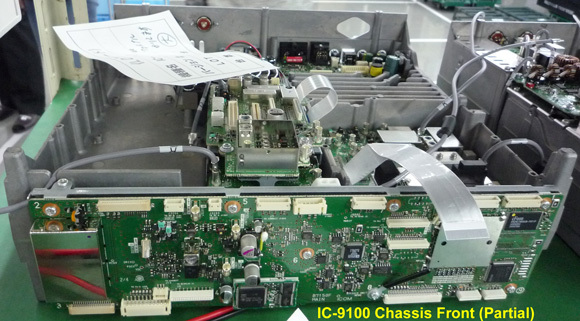 IC-9100 Firmware Rev. E2 was released on 1 Aug. 2013 (link below). 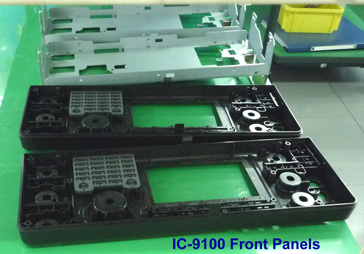 IC-9100 front view (click for larger image). Photo: N. Oba JA7UDE. 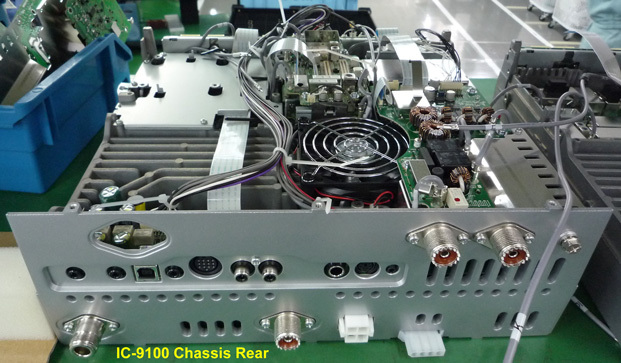 IC-9100 rear view. Photo: N. Oba JA7UDE. 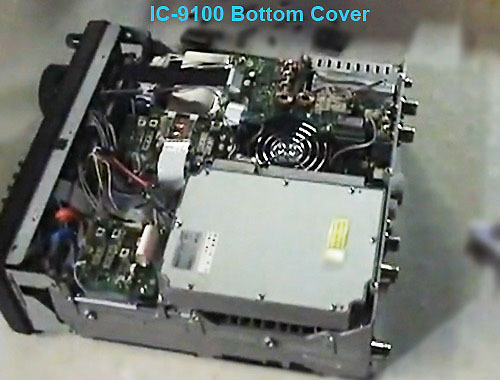 Another IC-9100 front view (click for larger image). Photo: Darren Storer G7LWT. 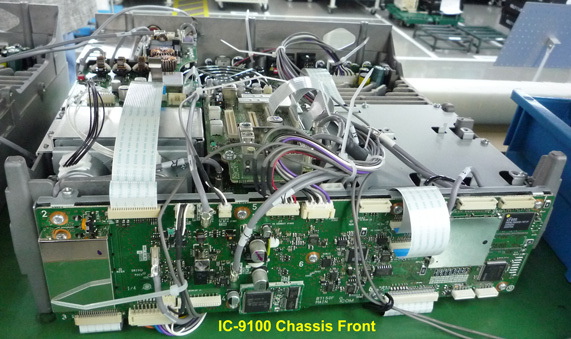 Another IC-9100 rear view. Photo: Darren Storer G7LWT. 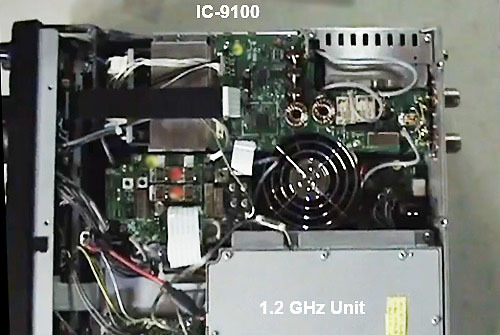 The IC-9100 in the Marcucci booth at Pescara Expo 2009. Photo: Lidio Gentili IØGEJ. 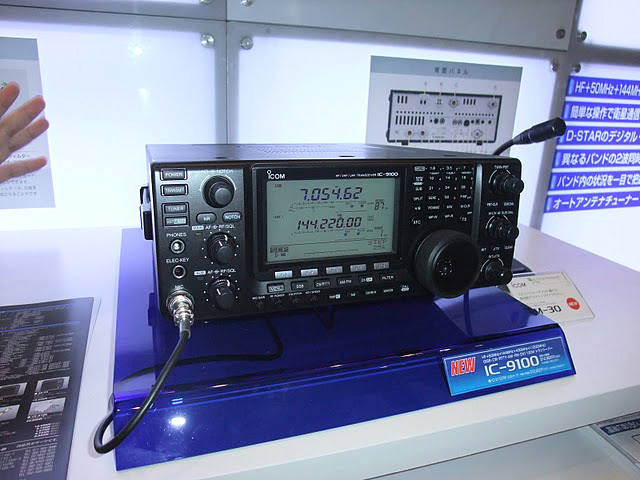 The IC-9100 at Tokyo HamFair 2010. Photo: N. Oba JA7UDE. 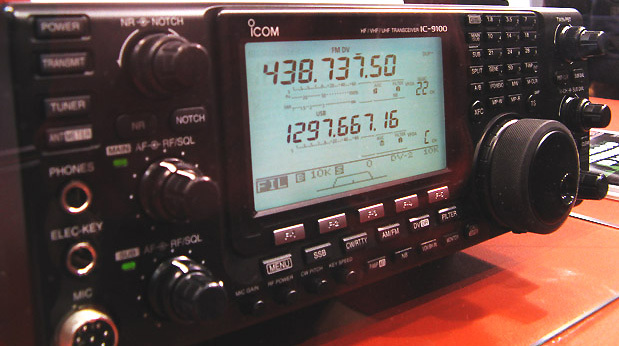 The IC-9100 at the Icom Dealer Preview, Osaka, November 7, 2010. Photo: VA7OJ. 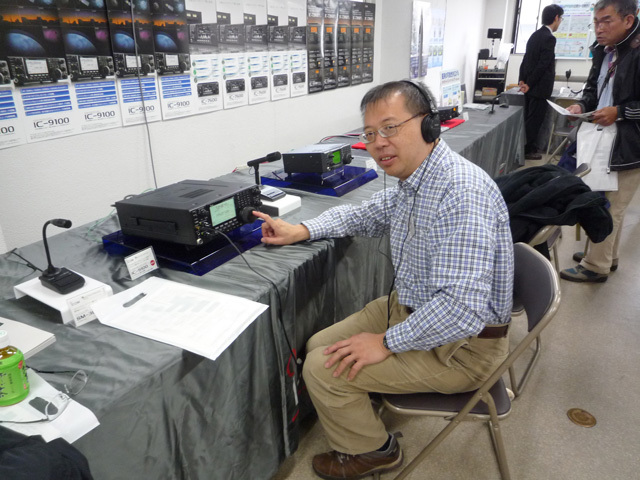 My friend Johnny Siu VR2XMC operating the IC-9100 at the Preview. Photo: VA7OJ. HF(100W), 50 MHz (100W), 144 MHz (100W), 430/440 MHz (75W), 1.2 GHz with optional UX-9100 module (10W). 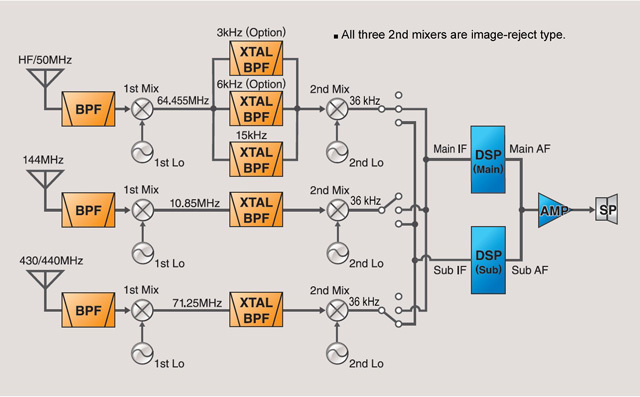 Dual-conversion receiver with I/Q image-reject mixer (as employed in IC-7600, IC-7700 and IC-7800). IF-DSP (32-bit operation and 24-bit ADC). 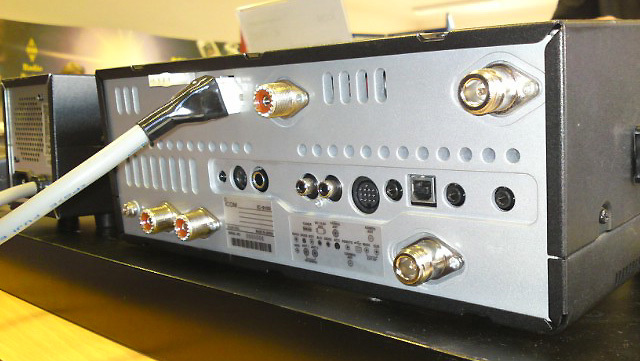 Two separate receive chains (MAIN and SUB), each with its own 32-bit DSP, 24-bit ADC/DAC and baseband output. 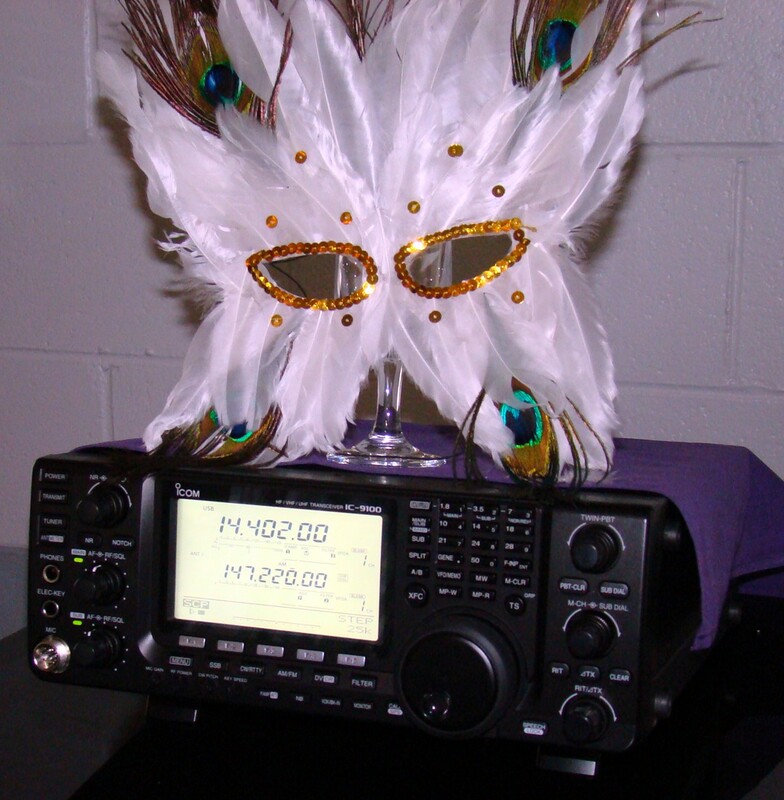 Simultaneous dual receive (HF/50 MHz + 144 MHz, or 144 + 430 MHz). GPS position-reporting functions (if UT-121 D-STAR module fitted). Main & Sub DSP IC's. 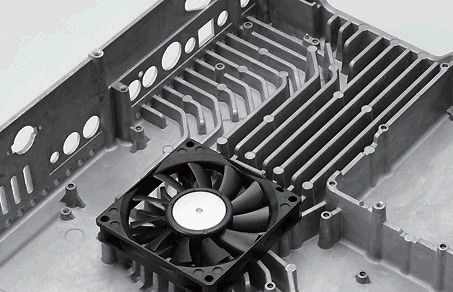 Die-cast chassis and cooling system. Courtesy L. Gentili IØGEJ. 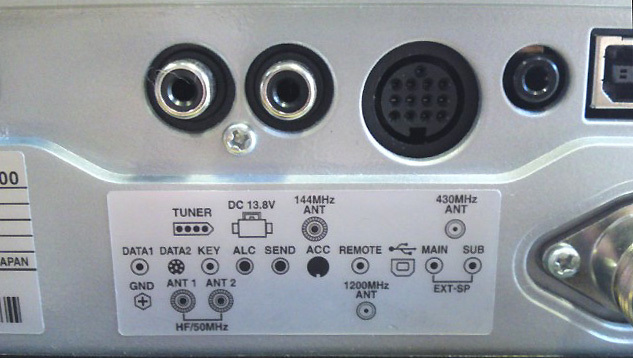 HF/6m autotuner. Courtesy L. Gentili IØGEJ. 3 and 6 kHz roofing-filter modules. Courtesy L. Gentili IØGEJ. 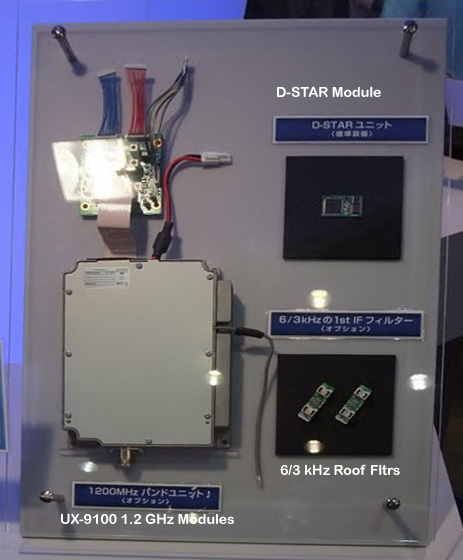 1.2 GHz, D-STAR and roofing filter modules. Photo: JA7UDE. 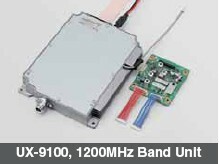 The optional UX-9100 1.2 GHz module can be installed in the radio (concept similar to IC-910). Optional 6 kHz (FL-430) and 3 kHz (FL-431) roofing filter modules can be installed for HF/50 MHz. The default 1st IF filter is 15 kHz wide. 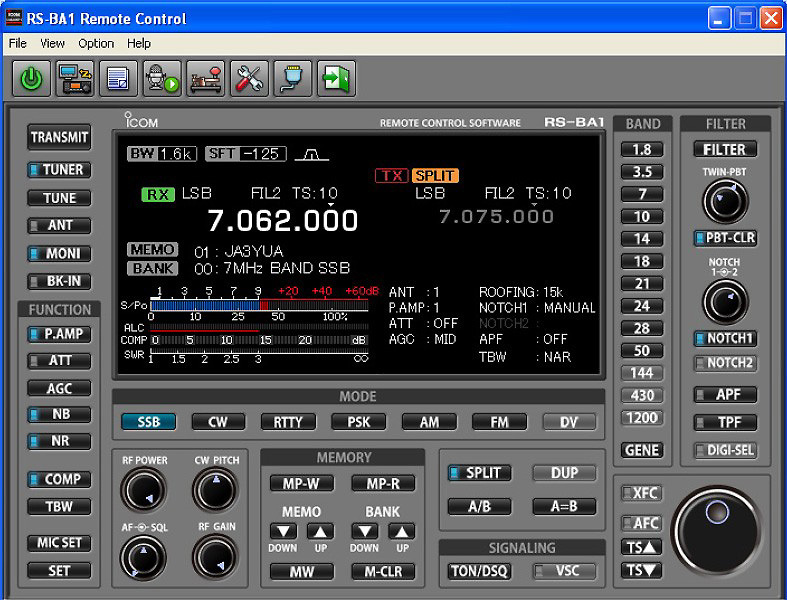 Icom RS-1BA remote-control software suite, allowing full Internet remote control of IC-9100 from computer with Ethernet LAN. DV mode supported on 28, 50, 144, 430/440 and 1.2 GHz bands. DV only; no 128 kB/s data. 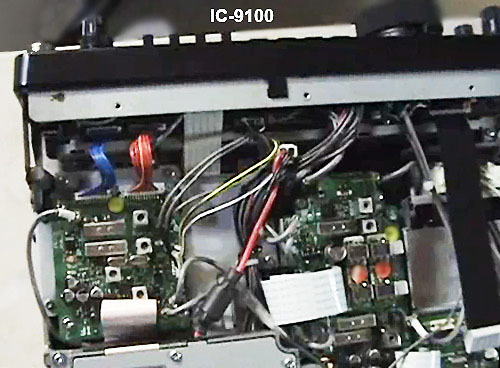 Watch this page for updated IC-9100 information. Copyright © 2009-2013 A. Farson VA7OJ/AB4OJ. All rights reserved. Images: contributors as noted.